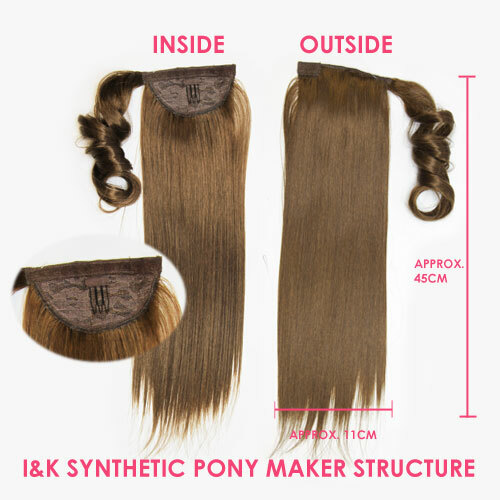 The Pony Maker is a ready-to-wear hairpiece with soft, straight which looks great secured as a high pony at the back of the head. Simply tie your hair up into a ponytail, then secure the attachment to your own hair, wrap around the extra hairpiece. The comb inside is incredibly secure and you can be confident that your hairpiece will stay in place all day, every day. The application is quick but the results are long lasting. Have fun and be creative with your new hairpiece.